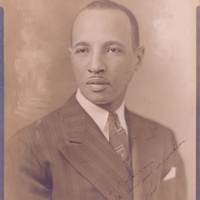 A portrait of Edward "Rod" R. Rodriguez, which is housed at the Mary McLeod Bethune Foundation, located at 640 Dr. Mary McLeod Bethune Boulevard in Daytona Beach, Florida. Rodriguez was the foster son of Dr. Mary McLeod Bethune (1875-1955). He was also the second male to register at the school in 1923, when it merged with the Cookman Institute. 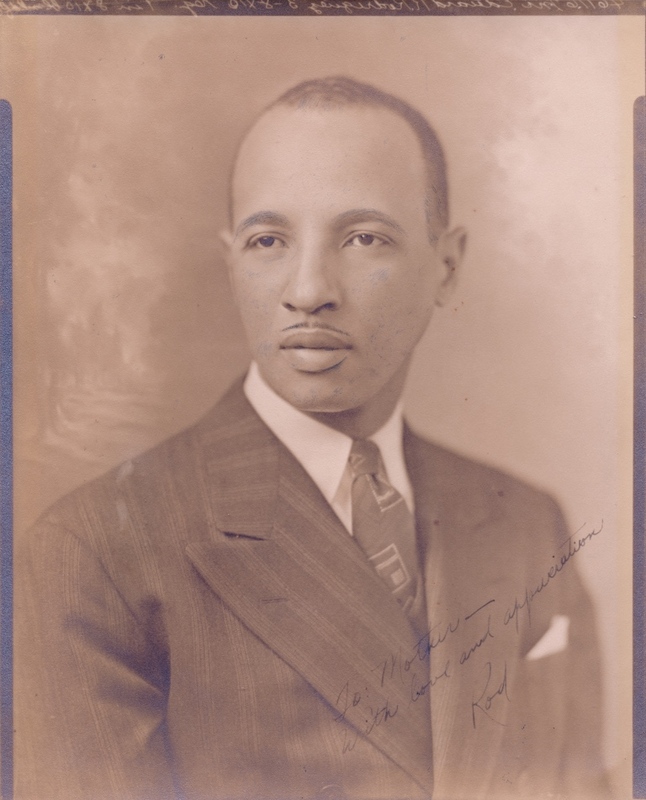 While a student, he was a member of the Omega Psi Phi Fraternity, Inc. Rodriguez later served as the first curator and director of the Mary McLeod Bethune Foundation, located on the Bethune-Cookman University campus. The foundation was established on March 17, 1953, as "a place to awaken people and to have them realize that there is something in the world they can do." The foundation is housed in the Mary McLeod Bethune Home, which is also known as "The Retreat." Original 8 x 10 inch black and white photographic print: Image 77, Mary McLeod Bethune Foundation, Daytona Beach, Florida. “Edward R. Rodriguez.” RICHES of Central Florida accessed April 18, 2019, https://richesmi.cah.ucf.edu/omeka/items/show/5162.